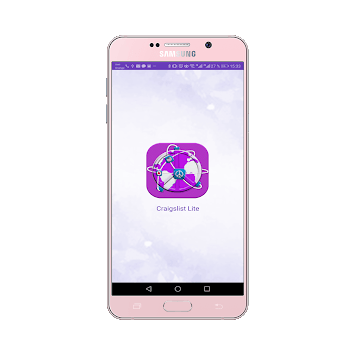 CL-Craigslist attempts to be the easiest to use and the most visually appealing Craigslist search application in the Marketplace and is written by a Craigslist addict for Craigslist addicts. Note: We no longer are able to show listings from the Personals section of Craigslist since the content violates the Play Store's terms of service and we can no longer risk being pulled from the Store (we have been twice now as a result). ★ NEW!! Ability to select multiple cities to search through at one time. Select the cities you are interested under the city select option, then use the up and down arrow to change to different city after your search. ★ NEW!! Save Searches along with your favorite's. Just perform a search, and select the add to favorites button. The search criteria will be saved to your favorites and you can go back at any time. CL Mobile - Craigslist Classifieds was created as a mobile solution for website Craigslist.org only to improve the users experience, application behaves like a normal browser and does not collect any information. Plus, we have other countries like Canada, Australia, France, Germany, Italy, Netherlands, New Zealand, Spain, Switzerland, UK, India, Indonesia, Pakistan, Mexico, Taiwan, Thailand, Philippines, Singapore.